Arsenal striker Olivier Giroud has emerged as a surprise target for Bayern Munich in the winter transfer window. 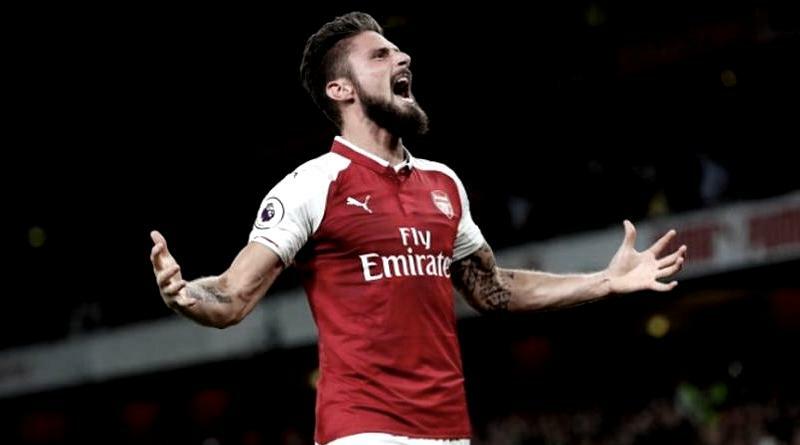 Bayern Munich will consider making an offer for Olivier Giroud, according to the football transfer rumours in British media. The France international has joined Arsenal from Montpellier for a fee in the region of 12.5 million euros in July 2012. The 31-year-old has a valid contract with Arsenal until June 2019. Since his arrival from Montpellier, Olivier Giroud has scored 101 goals and provided 41 assists in 244 games for Arsenal, including three goals in 17 games in all competitions this season. The 31-year-old is considered to be one of the best strikers in France. As a member of France national football team, Giroud has won 69 caps and has scored 29 goals. Olivier Giroud is one of the more likely players to be offloaded by Arsenal this winter and the list of suitors in the France international continues to grow. Adding a striker remains Bayern Munich’s top priority this winter and Jupp Heynckes will have drafted a shortlist of a number of possible targets he could approach in the coming weeks. The report claims that Bayern Munich manager has extensively scouted Giroud and is considering a move for the striker. Jupp Heynckes wants to continue to strengthening his squad so they’re able to compete both domestically and in the Champions League in the second part of the season. Bayern Munich will be desperate to make an impact in winter transfer window. The 31-year-old would be a very good addition for Bayern Munich and they can afford him as well. According to the report in British media, Bayern Munich will consider making a move for Arsenal striker after Robert Lewandowski complained he is being worked too hard. Ajax’s young star Kasper Dolberg is also under consideration. It will be interesting to see whether Bayern Munich make their move during the January transfer window.